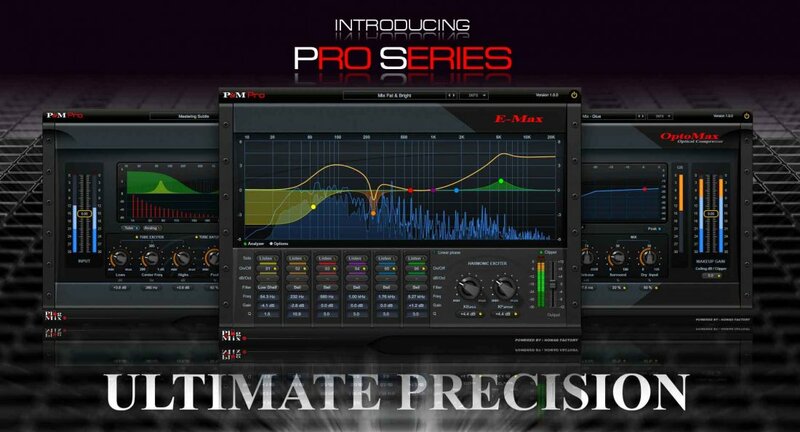 Press Release : Plug & Mix Announces the Ultimate Precision 'Pro Series' Plug-ins! Plug & Mix today announces the launch of 3 new professional plug-ins that are part of a new collection called the Ultimate Precision “Pro Series” Plug-ins. Plug & Mix products are distributed by Plugivery.com and are available at your preferred dealer. The new "Pro Series” plug-ins are sold individually at the very competitive price of $129. All 3 products are also available as the "Pro Series" Pack sold at ONLY $249!